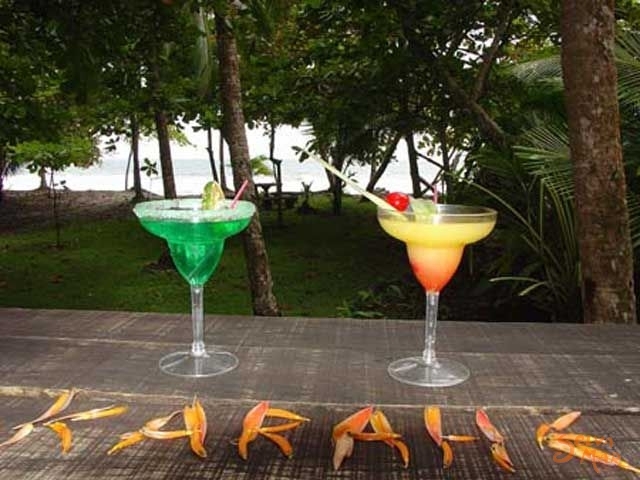 If you are visiting the area to relax at the beach and visit the National Park, you will find no better place to enjoy peace and quiet than Hotel Karahe. 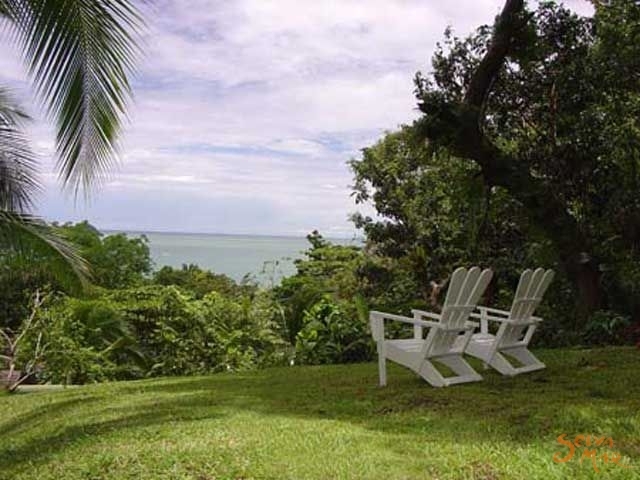 Our gardens meet the ocean and the entrance of the park only 10 minutes away is whitin easy walking distance. 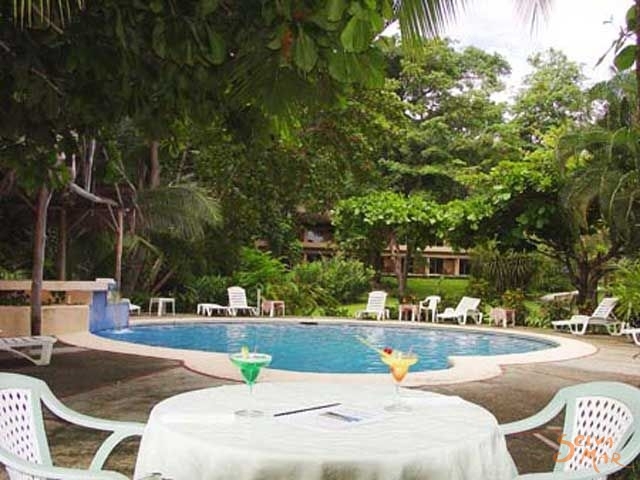 The swimming pool and jacuzzi, as well as our restaurant, sit within earshot of the ocean. 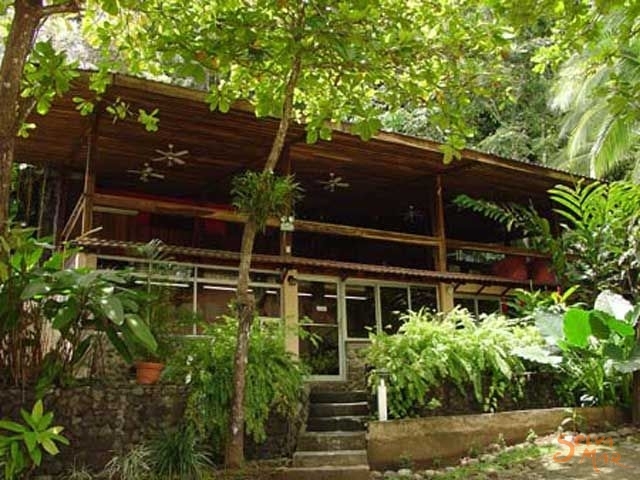 Howler, White-face and Squirrel monkey, basilisks, iguanas and land crabs are among the frequent visitors. 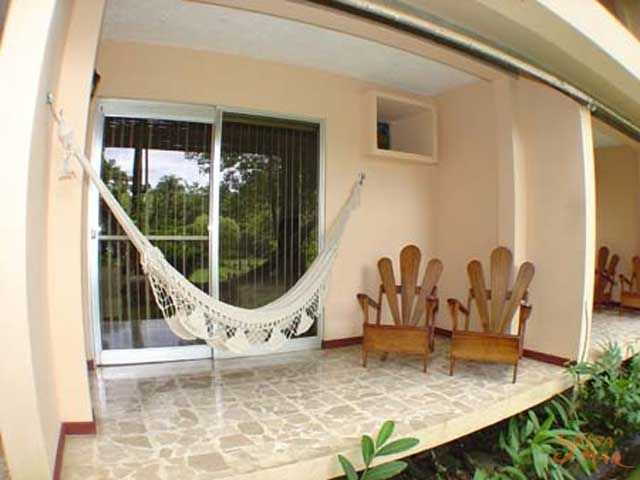 The Hotel is easily reached via twenty-five minute flight from San José, or a three-and-a-half hour drive. 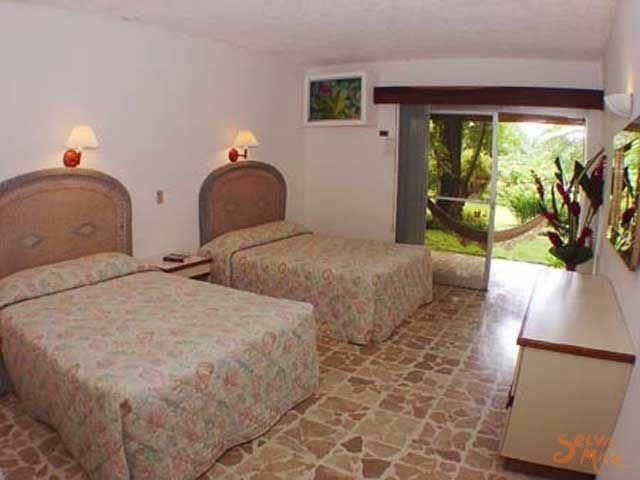 • Among the palms, acacias and heliconias, we have built 16 modern, air-conditioned rooms. 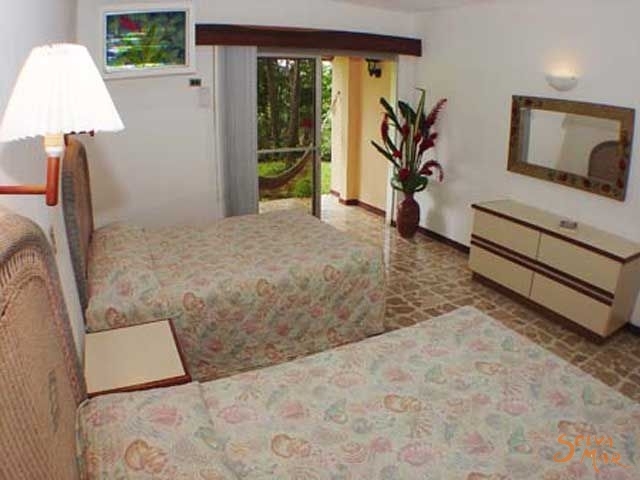 • 8 Standard Rooms, are located near the reception area, with the same characteristics as the beachfront rooms. 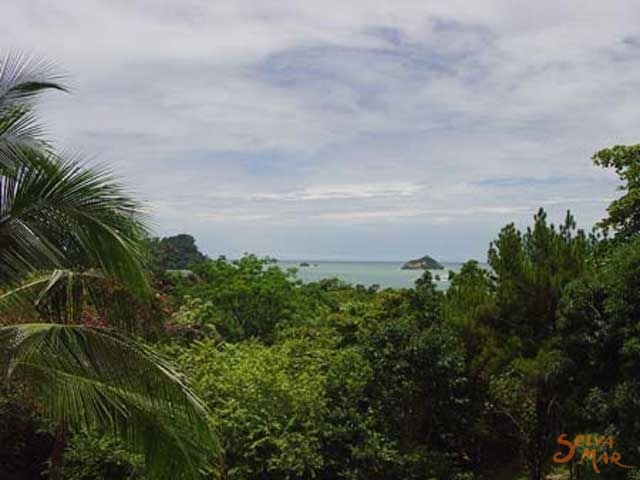 • The hillside behind the hotel rises sharply and on its green slopes, we have built nine air-conditioned villas, each with spectacular views of Punta Catedral (Chatedral Point), Manuel Antonio beach and the blue Pacific Ocean. 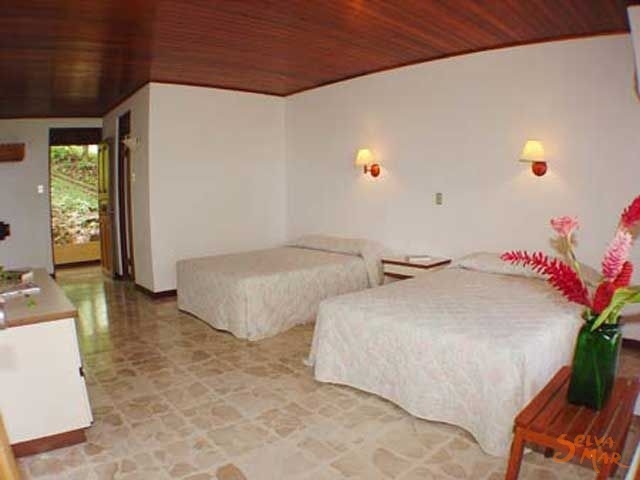 Hotel Karahe offers you three kind of rooms to make your stay comfortable. 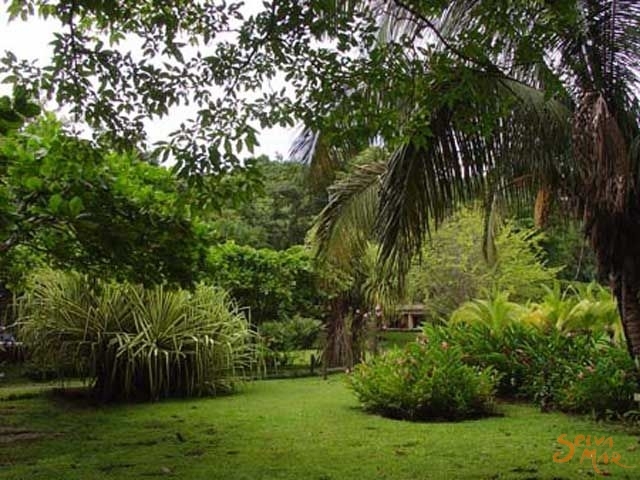 Just one hundred feet of lush green garden between you and the water’s edge. 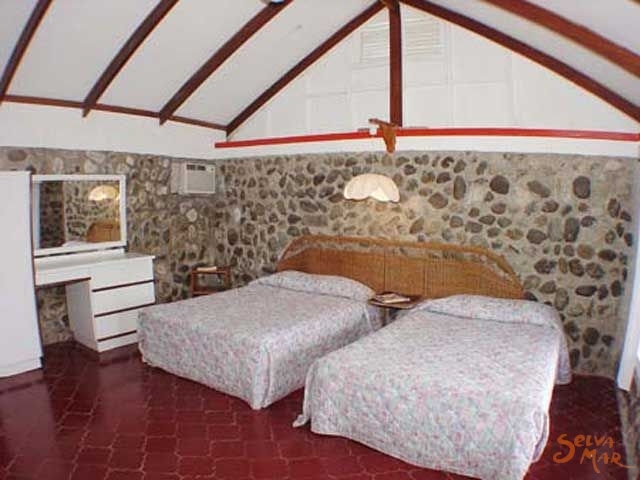 Same rooms as the Beachfront situated at the base of the hill. 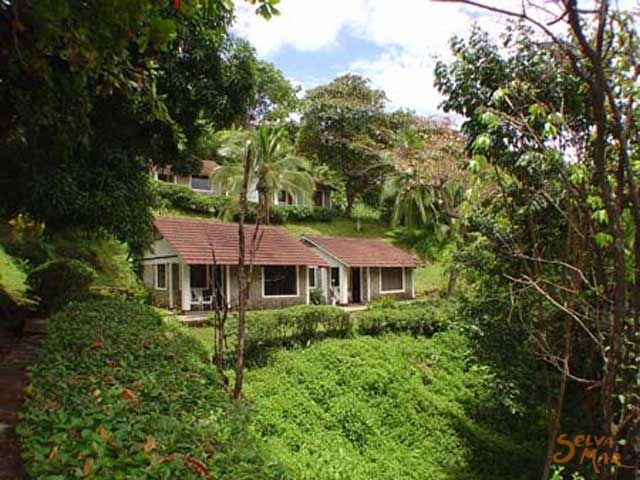 Located on the hillside, the view from the villas is nothing short of spectacular. 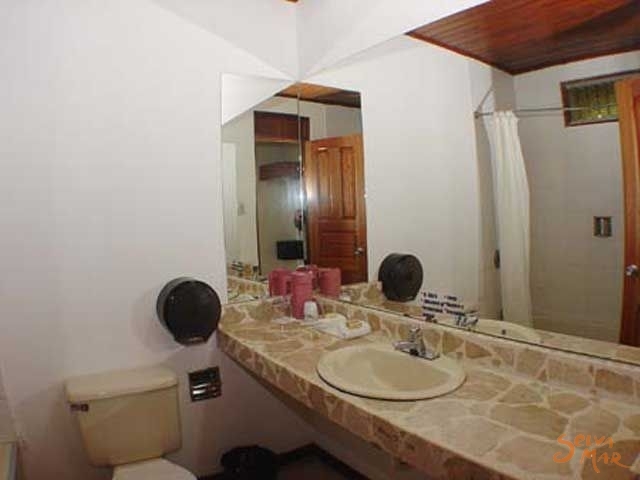 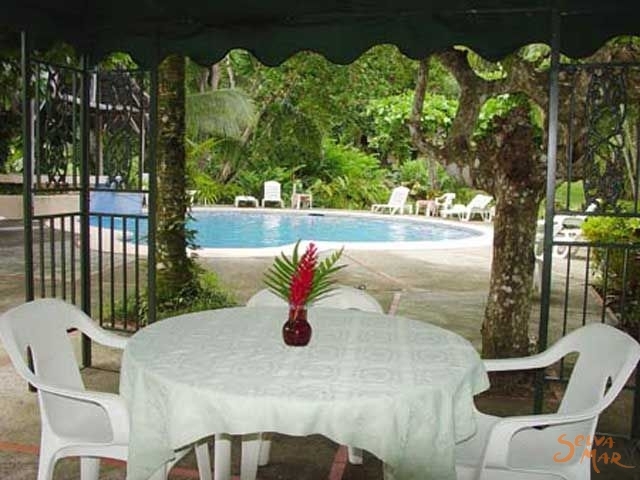 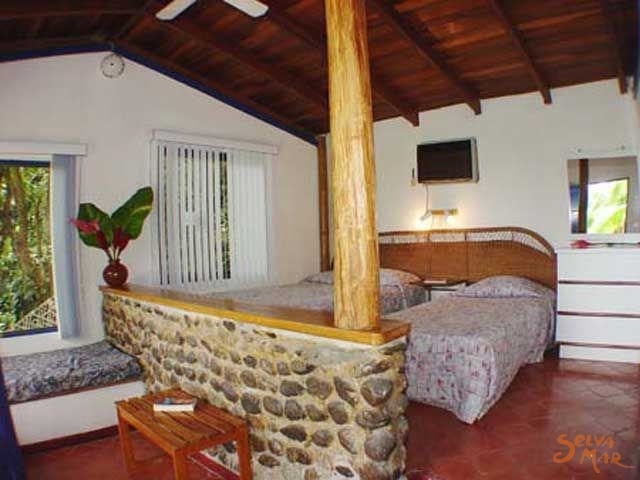 Hotel Karahe located 7 km south of Port Quepos, and about 500 meters from Manuel Antonio National Park, in the Central Pacific coast of Costa Rica, between the sea and the mountains, becoming the only one hotel in the zone that offer you beach, and mountain rooms at the time.